When you receive summons from your creditor because they have filed a case against your delayed payments, this usually signals the need for debt mediation. Another term for this arrangement is debt settlement. The way it works is when you have been unable to make payments for your debt the creditor will pass on your case to a credit collection agency. Usually this is between 90 – 180 days since you stopped making payments. 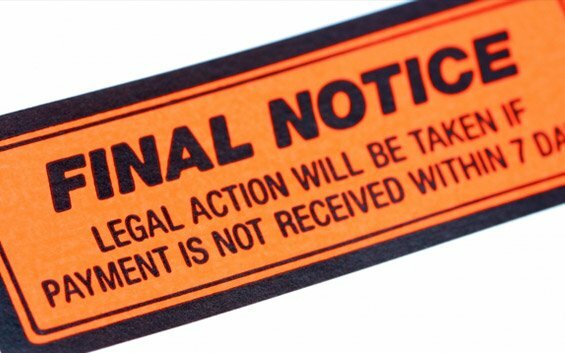 The collector will harass the debtor and if they still refuse to pay, they will be forced to go to court. When your case is filed in court, you will be sent a summons. You have approximately 30 days to send a response. This is the perfect moment to go into debt mediation. Believe it or not, the creditor does not want to go to court just like you. It will involve court costs, legal fees and time investment on both parties. However, they have no choice but to get the judge to force you to pay by seizing your assets. Unless you reach an agreement through debt mediation or settlement. If you haven’t done it yet, this is the right time to get a debt relief expert to help you out. They will review your finances and offer the creditor a payment plan that you are able to afford. Sometimes, it is the other way around. The lawyer of the creditor will be first to offer your team a payment plan. This is alright because you can negotiate the price. This is where you can rely on the expertise and negotiation skills of the debt relief expert. While you can do this yourself, an expert will be more than capable of doing it. Not only that, that expert may have had dealt with this particular creditor in the past – thus having a professional relationship established already. All in all, the prospects of you getting the agreement that you can afford to pay for is higher than if you handle it on your own. There are two types of arrangements that can be done through a debt mediation. One is a lump sum payment. If you have contacted the debt settlement company you are working with in advance (way before the court got involved), they would have advised you to stop paying the creditor intentionally. Instead, you will be depositing your funds in a FDIC insured account and saving it for the intended lump sum that the debt relief expert will negotiate on your behalf. That way, when your case goes to court, you have a sizable amount saved up for the past couple of months you have been making deposits. The other arrangement is a lower monthly payment. During the mediation process, the debt relief expert will show the creditor just how much you can afford to pay every month. You will try to reach an amount that both the creditor and you as the debtor will agree with. If in an extreme case the creditor does not want to accept your proposed amount, you will both be forced to go to court where the judge will rule between the two of you. If the court rules in favor of the creditor, you may be in danger of losing your assets. But then again, that is why you hired the debt mediator to help you. The court scenario needs to be avoided at all costs so you don’t have that on your credit history for the next decade or so. If you want to know more about debt mediation, the NationalDebtRelief.com is here to educate you. You can give us a call through the toll free number on this page, the live chat support or the form on the right side of this page. When you fill out the form, a debt relief expert will get in touch with you to discuss how you can get financial freedom.